Today we take you to the Chinese manufacturer Wismec to discover a new electronic box: The Sinuous V200. Want to know more ? Well, let's go for a complete presentation of the beast. SINUOUS V200: A DOUBLE BOX POWERFUL ACCUSED THAT IMPOSES! A true leader in the vape market, Wismec today launches a new electronic box: The Sinuous V200. Rectangular and fully designed in polycarbonate and aluminum, the Sinuous V200 box is compact, lightweight and ergonomic. 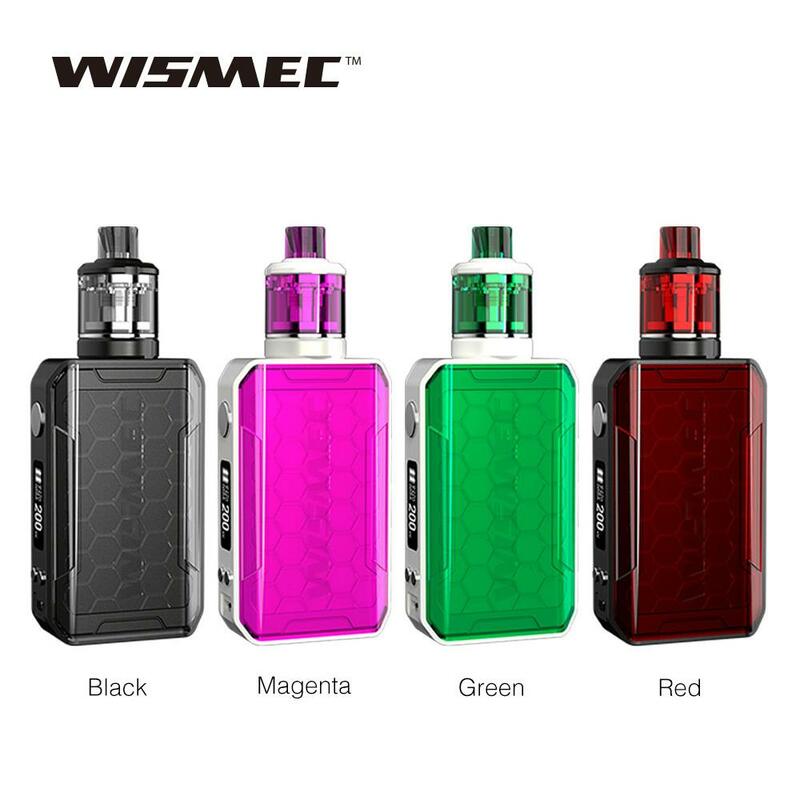 Aesthetically modern, the little news of Wismec is nice with its transparent panels and its choice of colors (black, pink, green, red). On the main facade there will be a switch, round, an oled 0,91 screen, two dimmer buttons and a micro-usb socket for reloading and updating the firmware. 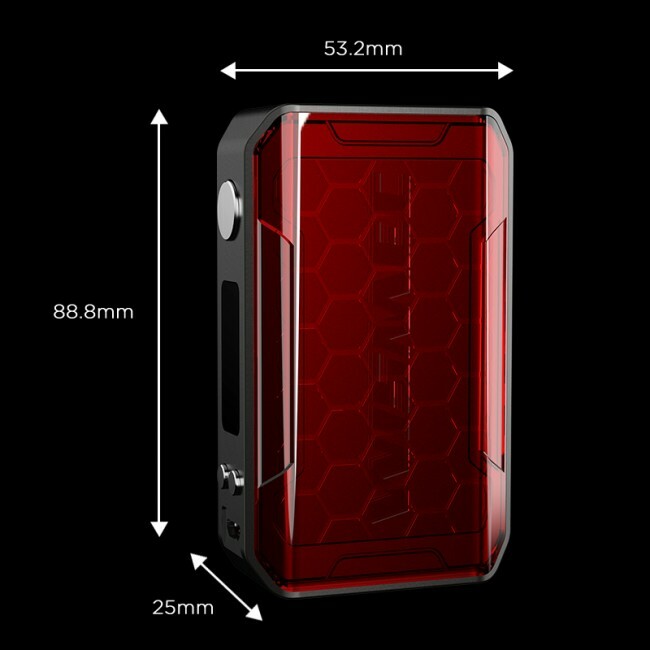 Operating with two 18650 batteries, the new Sinuous V200 box will have as its name indicates a maximum power of 200 watts. There will obviously be many operating modes including variable power, temperature control (Ni200 / Ti / SS316L) and TCR. If you opt for the complete kit, the Sinuous V200 box will be delivered with the Amor NSE Clearomiser. Entirely made of stainless steel and plastic, the Amor NSE is 26 mm in diameter and is equipped with a tank of 3 ml which will fill upwards. Perfectly adapted to the Sinuous V200 box, the Amor NSE will work with WS-M 0.27 ohm or WS04 MTL 1.3 Ohm resistors, so you will be able to use it in direct inhalation or in MTL (indirect inhalation). The new electronic box Sinuous V200 by Wismec is now available for 45 Euros about. Following : VAP'NEWS: The e-cigarette news of Thursday 28 February 2019.